If you follow my Instagram page, you have likely seen me throwing a large, yet crude looking medicine ball against a tire. I first demoed the ball a few months ago, and did so again earlier this week. After each video, I received a plethora of questions about how the ball was constructed. I’ve also been asked why I use a tire as a rebounding surface. With that in mind, I will use this entry to examine the heavy medicine ball in more detail. In case you missed the original videos, take a look below. First, you will see a rotational throw. Next, you will see a one arm power throw. With each variation, you should work both sides evenly. 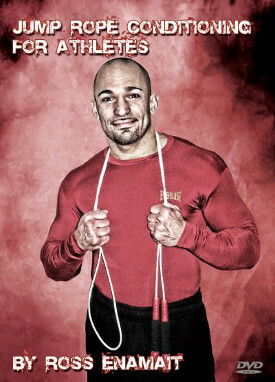 I typically perform four sets of 10 to 15 reps per side, 2 or 3 days per week. If you’ve followed this blog for some time, you might recall a previous article that was dedicated to low-tech power training (see here). Within that entry, I demonstrated a homemade medicine ball that weighed approximately 25 pounds. I also demoed what I refer to as a throwing bag that tips the scales at around 115 pounds. My latest creation (seen above) lands somewhere in the middle. My reason for creating the new ball was simple. I wanted something that was heavier than my 25 pounder, but also something that was shaped like a ball. As much as I enjoy my throwing bag, its shape is not ideal for certain exercise. My new ball is far superior for one arm power throws and rotational throws. The heavy medicine ball actually started as a homemade sandbag that was constructed from an old canvas sea bag . I already had the bag so it only cost me a roll of gorilla tape . I simply reshaped the bag into somewhat of a ball and then wrapped it thoroughly in tape. I use an angled tire as a rebounding surface for a few reasons. First, my homemade medicine balls do not bounce. If thrown against a solid wall, they would fall to the ground. By angling the tire, it provides just enough of a rebound to catch the ball and continue with rapid throws. The rubber surface of the tire also minimizes damage to the ball. It is much more forgiving than a brick or cement wall. Despite hundreds of throws over several months, there is absolutely no damage to the ball. Although my large medicine ball may appear crude, it has been a tremendous addition to the gym. Not only has it proven effective and durable, but the price can’t be beat. A commercial ball of equal weight would be quite expensive. In summary, if you have any additional questions about the construction or use of this ball, feel free to comment below or shoot me an email. I’m happy to help. Big fan of your homemade equipment. Quick question…How do you go about filling the canvas bag? Do you simply fill it with sand or do you fill it with smaller bags of sand that are also taped up? @Rus – I would never add sand directly. It’s best to use what I call filler bags (tire inner tubes work well). If you don’t want to use sand, another option would be something such as wood pellets or rubber mulch. They won’t be as heavy though. It all depends on what you are looking for as far as total weight. How did you seal up the sand-filled inner tubes that are inside your bag? Hey Ross I know the question I’m about to ask doesn’t have to do with this heavy med ball, bit I thought I’d ask u anyway. Im an amateur boxer, 3 fights so far, no losses, all wins by kayo,pretty proud of that, anyways my question is how do I shadowbox hard but not hurt my shoulders in the process?? When shadowboxing I move and throw my punches like I’m fighting, so I snap my shoulders and put weight on my punches but I’ve noticed my shoulders get tender and I don’t want to risk injury to them. I shadowbox hard so that when I miss a hard punch with my weight behind it in a fight I don’t get put off balance, as so often happens. The analogy I read somewhere is if you shadowbox hard and snap your punches without hitting something its like throwing a fastball and having the ball fall out your hand the moment you throw it, which is obviously not good for the joints. So how do u recommend shadowboxing? I don’t go thru the motions like so many others, and my coach tells me that shadowbxojg hard is the best thing next to sparring because it pretty muxh sparring without a partner, but I dont know how to shadowbox hard without Injury to my shoulder. My main concern is to not lose balance when missing a loaded up punch, any help man?? @Marco – Find balance between hurting yourself and going hard enough where it’s still beneficial from a conditioning standpoint. Brisk shadow boxing shouldn’t cause pain. If it does, you probably have other issues that need to be addressed (i.e. shoulders need more work/development). Nice post. How much should the ball weigh? I have 15 pound one from Title. Would it need to be heavier? 15 pounds is fine in many cases. I was simply looking for something heavier to focus more attention towards strength. Since you say here that you are looking for strength shouldn’t the reps be a bit lower? I have always heard that for strength you should do sets of 5×5 of 6×3. I am sure whatever you do, as long as you do it with a heavy weight you will gain something but I just really wanted to know your reasoning on this. You are thinking of “strength” in a more conventional sense (ex. weight lifting). For example, a fighter needs to display strength/power for up to 12 rounds. 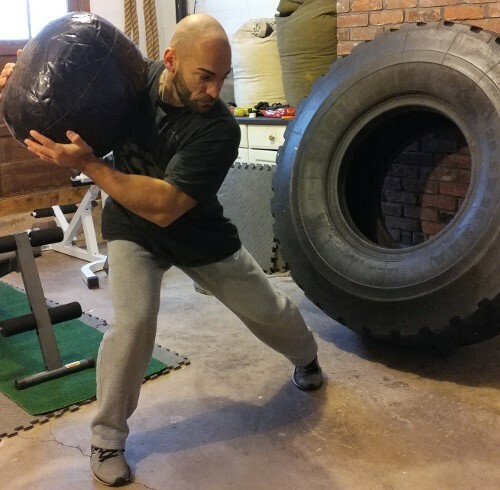 The “strength” required to do so is much different from lifting a weight for 3 reps.
It’s rare that one would have a medicine ball heavy enough to only throw for 3 reps. With that in mind, you can certainly throw the ball for higher reps. Such work can also lead to strength, just as higher rep weight lifting can also lead to strength. There’s more than one way to skin a cat. I am sure there is. Thank you for the quick reply. Ross you are the best man! An inspiration to me. Thanks so much.